This post evolved from a discussion with @smooth hosted in the comments section of the controversial "Operation Clean Trending" post from @heimindanger. The discussion was triggered by what appeared to some as "hijacking" of the Trending page by posts reaching that position through extensive use of paid votes from bots. The position of the author and a group of other people was that because the rewards seem exaggerated, people should flag those posts in order to decrease the size of their rewards. I totally agree with the analysis and diagnosis of the problem. However I strongly disagree with the conclusion reached by both authors and their proposed remedy. That the Trending page is (metaphorically) "sick" is hard to dispute. I do share the view that it has been hijacked and it's being manipulated with the use of voting bots in order to entice people to "jump on the bandwagon" and upvote the promoted posts, then follow the featured authors and maybe also resteem those posts for even more audience and upvotes. What I disagree with is the proposed "cure" to the "disease" afflicting the Trending page. According to these authors, anyone who, after reading a post, deems, in good faith, that the reward the post gathered is higher than what it should have been (in anyone's subjective opinion), should flag (= downvote) those posts. Id est each one of us should use (some of) our voting power in order to decrease the payout, thereby returning a part of the rewards for that post to the reward pool. I am afraid that, if people start implementing those ideas, the steem community will take a path of censorship and internal strife that could have grave consequences for its medium-term development. For those not aware of this important discussion, I recommend you read at least one of those articles and browse the comments that it attracted in order to make your own opinion. I am convinced this debate is central to the working of the steem blockchain system, now and in the future. Blockchain based systems (such as steem) allow the emergence and evolution of ad-hoc societies (you may also call them communities). Being populated by the same species (humans) as the real societies, these virtual mini-societies reproduce, at a smaller scale, in a "lopsided by design" manner, and much faster, the evolution of the human society, not unlike the way a fractal pattern grows. Because the human societies have endured millenia of all kinds of shocks and developments, it is quite likely that what we came up with in the real world is, within the boundaries of our knowledge, about as good as it gets (sorry for the utopists believing that communism or cryptoanarchism would be better). Blockchain and decentralized systems cannot and do not suddenly render irrelevant 7000 years of refinement in human social constructs. What they do though is provide us with an incredibly fertile ground for experimentation, in order to discover, learn and make social progress thanks to new beneficial rules or institutions which we might possibly uncover. They offer incredible social and economic laboratories. Therefore, the faster we realize how far we got already and reintroduce inside the blockchain system the best our current societies have come up with (after 7000 years of experimentation), the sooner we will be able to set out to discover what remained hidden in the real world for lack of a proper "socio-economic laboratory"
Yes that's exactly right and people should be (and must be) skeptical of each other. In a decentralized system the answer to "Quis custodiet ipsos custodes?" (Who Guards the Guards?) is "each other". Our voting decisions are all open to scrutiny and disagreement by each other. That is the only way this system can work. As its latin expression indicates, the question "Quis custodiet ipsos custodes" is several millenia old and is still actual whenever a group of people have to organize. I read @smooth's position as "if we want the system to stay decentralized, then we should each assume the role of custode and question each other's voting decisions. Step back for a second to reflect on that "shot from the hip" proposal. It starts by flying in the face of "division of labor" and "specialization" which are the foundation stones of the progress of humankind. Human societies have discovered prior to the establishment of what you call today proper civilizations what a poor advice that is. Proper civilizations, from the ancient Egyptians to the ancient Chinese had already figured out that having everybody policing everybody else was an unworkable system, prone to be consumed into a spiral of self-destruction. Later we realized that having the most powerful (the "whales" of each historical civilization) do the policing according to their judgement and whims was not an ideal system either. And all the way in-between, various societies have tried out a great number of other combinations. "Who guards the guardians" is still a central question to every human society / community and the bothersome truth is that ... it has no simple answer. The quick answer "everyone should do that in a decentralized system" only underscores a serious weakness of decentralized social systems. letting the brainy make the decisions and the brawny do the physical work. So the society took matters from there and developed mechanisms that included all the dimensions of what it means to be human and gradually progressed from "free-for-alls" to tribes and clans, to kingdoms, empires and republics. are mostly modelled on republics, even when they nominally have a (mostly decorative) monarch and call themselves "monarchies". And also that conversely, other models of society have mostly been absorbed or still linger as living proof that, even if our modern republics are far from perfect, nothing else we've tried till now works nearly as well. Yet republics are still vulnerable to abuse of trust by those in positions of power. If such vulnerability needs to be severly reduced or even eliminated, going back to decentralized is akin to "throwing the baby with the bathwater". We, humankind, made a great deal of progress in the past 7000 years and accomplished a lot. What we still haven't managed to solve is the unwanted side effect deriving from division of labour. Even after 7000 years of living together and helping each other progress, some people, usually calling themselves "the brainy", keep finding ways to abuse their specific roles in society, to abuse the trust of the others, that they usually call "the brawny" (or sometimes "the thick ones"). This was basically the situation of the world in 2008 when Satoshi published his bitcoin paper. In the big fractal development of humankind, we started again, thanks to bitcoin and other blockchain systems, from a decentralized situation and on this newly created crypto / blockchain branch we are rediscovering (at greatly increased speed) the same basic truths that our ancestors have discovered millenia ago. Bitcoin as peer-to-peer electronic cash system is decentralized and that is a huge strength. The blockchain technology that underpins it has made possible more advanced software designs, such as Steem, that can function as the central communication backbone of an ad-hoc society, which includes a currency but is A LOT MORE than a mere cryptocurrency system. Steem adds around the digital currency a system of human social interaction that goes beyond the strictly monetary ones. Steem builds upon the concept of peer-to-peer electronic cash to create an ad-hoc mini society. We are way past the simple system of transfering value and deep into the complexities of multi-dimensional human interaction, economic AND social. And when looking at a virtual society, 7000 years of social evolution tell us, with all their weight, that if decentralized means no division of labour then decentralization is an inferior organizational scheme that is better replaced. What I find thoroughly exciting is that now, for the first time in human history, we have, in the blockchain, a powerful tool to address that deeeply wounding side-effect of division of labor and of the subsequent need to rely on and trust others - namely the risk of some of those others abusing your trust. There is no 'free money' here. It all comes from investors who buy in. Unless limits are put on those who want to take that money and put it straight into their pockets, investors will turn off the lights and the party will be over. Indeed, the money comes from the investors, I am one myself. It is thus essential that one asks: what are the investors buying ? What is the potential, what is the vision that the investors are willing to take a bet on ? Is it for STEEM to replace bitcoin as another, reputedly better "peer-to-peer electronic cash system" ? Is it even for Steemit to overtake and possibly dethrone Reddit as one might think was the main driver of its founders, since Reddit is being used as reference throughout the Steem whitepaper ? I bet the answer is "no" in both cases. Steem has already proven that it can be much more than that, that it could go beyond classical "social media" and, by adding value-creating economic interactions between participants, it could claim the title of possibly first and at any rate best socio-economic medium In other words, a mini-society, specialized around content creation and curation. I contend that for Steem to succeed at the scale we all dream of, we should all root for it, to fall not in the realm of pure monetary theory or even pure economics but rather in the larger scope of Economic Sociology (check the source of the above image for a quick introduction). By being a system that, for the first time, allows people to experiment with alternative societies, by being a study topic and lab for economic sociology, Steem could be bigger than Facebook. Modern economic sociology was defined by a seminal paper, "Economic Action and Social Structure: The Problem of Embeddedness", M. Granovetter, 1985. A two page-summary of this paper can be found here. This paper elaborates on the "embeddedness" concept which states that economic relations between individuals take place within existing social relations and are shaped by them, as well as by the surrounding social structures. It is particularly relevant to this discussion that one of the shortcomings of previous models and theories was "how to account for a given level of malfeasance in the economic life of a community". With the "embeddedness" concept, Granovetter successfully introduced a new approach, stressing the role of concrete social relations and structures in generating trust and discouraging fraud and malfeasance. I conclude that the first and most pressing issue is to incorporate in a new version of the whitepaper and then in the code the explicit drive and necessary tools for combating fraud and abuse. Combat that the current version of Steem openly discredits at page 15 of the whitepaper. I also conclude that correcting the problem manifesting itself in a rotten Trending page should only be done holistically, through a well-considered change of the current system, rather than by using existing tools which are too coarse. The good that such tools will do to the economic health of the system will come at the price of serious harm to the embedding social structure. Then I stop here for the time being to let readers reflect and debate what might be a somewhat provocative position to a lot of whales, many of whom have come as young bitcoin- and crypto-anarchists with a strong passion for breaking as clean as possible from the current social systems; and also with an exacerbated memory of the bad last 10 years. 10 years out of 7000 of painful human experiments with social constructs. "If you don't believe me or don't get it, I have no time to try to convince you, sorry!" As explained in this post, I've just sent 90 SBD to bots, you have another '40 minutes or so to read it (yes, it's long, I know) and if you think it's worthy of your vote, front-run the bots and optimize your curation reward. Excellent approach. Just as you say, the current human society, with good and evil, formed in 7,000 years of evolution. I read on Steem a few days ago a post, unfortunately, I do not remember who the author was so I quote from memory "we can not build a new society by cloning the old one." As a social experiment, Steem can not bypass the problems of today's society and decentralization is not understood by all. My opinion is that total decentralization is basically anarchy. We will see in time how and in what direction the "communities" and the blockchain, in general, will evolve. 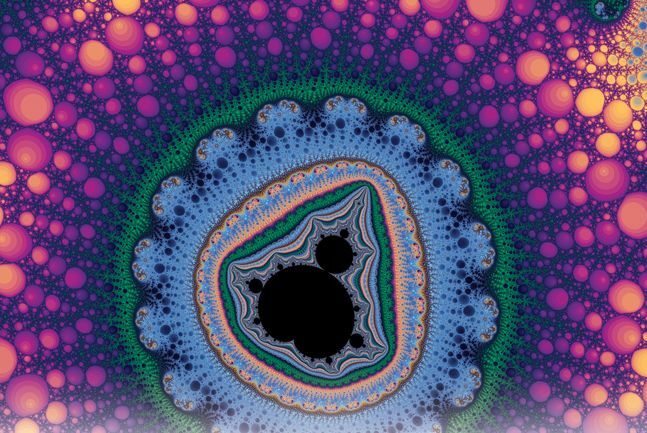 With regard to fractals, I would add only two things: an infinity of fractal patterns is possible and complex ones have more than two dimensions. And when I say more than two dimensions, I do not say in any way 3 dimensions. If we take into account the time and the fact that the interaction between the communities is inherent, then the possible variants of evolution grow exponentially. Evolution itself is a series of accidents, some beneficial and some destructive, so we only have to continue the social experiment called Steem and we will see what will be the result. "We cannot build a new society by cloning the old one" is potentially a very grave mistake and is what I indirectly warn against in this message. In 7000 years we have seen that there is a very big number of rotten, horrible societies. We generally progressed and it would be absurd to say that any of the past social arrangements were better than what we have today. That doesn't mean that our current society is perfect or even simply "good". It means that it's the best of all those we've tried (and discarded) for 7 millenia. Therefore assuming that we are now going to throw away all the lessons of those 7 millenia, start from scratch and, by miracle, get it right, is totally ridiculous. What I believe is that we should look carefully at what works well and what doesn't in our current society and try to precisely "clone" those aspects. And only change carefully, at the margin, tweak some aspects slightly in order to not break what is working. Because the risk of breaking something that we got right (after so many centuries of experiments) is higher than the probability of getting our hunches confirmed by a change that seems good on paper. Clearly, we do not have to waste our past experiences. It would mean trying every time to "reinvent the wheel." But we can not even integrally clone what we have now, waiting for different results. I do not think we have to demolish everything so we can build something. I said earlier that total decentralization is basically anarchy. But some things have to be changed forever. Any change that does not take into account human nature will end in the trash of history. All the revolutions have begun by withdrawing the privileges of a social class that were previously considered intangible. Now that's an impressive train of thought you shared here. I agree to it. It shook my perspective a little bit but I have to agree to it (if the research you did is true as I haven't had the time to do it myself). As for Steemit, the way I see it is a bit more simplistic. There are two types of individuals on the platform. Those that have all their basic needs met and can think of higher and more qualitative ways to bring value to the platform and to the other users while making some bucks in the process and those who don't have all those basic needs met (or somehow they have them amiss) and try to gain as much as possible by any means necessary. But things are a lot more complicated than this simplistic view. It's not just the needs but also the - often bad - 'education' which arises from not having enough of what is needed, and I'm not talking only about physical needs here. If Steemit wants itself as something of quality, my guess is that we need some sort of organism / mechanism of limiting the - 'by any means necessary' - type of actions. For example, I would ban all bots and try to make the platform human only, as my guess is that that was the initial intention of the developers. Though that won't completely eliminate the low quality, but for sure will make it fair in more than one way. Yes, we need some source of balance and equilibrium - that "mechanism of limiting the 'by any means necessary' - type of actions", as you put it. What about extending the platform with a new "institution". We have the witnesses that guard the inner workings, the mechanical part of the platform. What about we link that with some formal "content witnesses" roles. Imagine having 21 positions of "content witnesses" that would be the elected (somehow, to be decided) and that would be the guardians of the content-quality ? Is there any arrangement under which that could work and bring value to the platform ? What about extending the platform with a new "institution"
You are dreaming. Get your head out of the clouds, man. We haven't even had a minor hard fork to help streamline new account creation that was supposedly almost done a year ago. The entire 2017 roadmap was a complete fail. No milestones delivered at all. No, we are not going to get a new institution on this platform, at least not anytime in the new few years. We have to make do with what we have, which is either some sort of balance by peer review and downvoting or no balance at all, and the whole thing going off the rails (the latter being, for the most part, what has been happening). Now that I see your proposal I understand your objection to peer downvoting, in that you think you have an even better solution (and perhaps you do). But that's not the reality of the situation. The reality is that we have the tools we have, and we have to decide what to do with them. Thank you for your answer, I think I see what you mean. That leads me to think about censorship - how do you avoid it when everyone is subjective? But if I go further and think about an idea from the entropy concept, which is that in an isolated system (like steemit) the natural way is for things to go from order to disorder, I guess that some sort of 'content witnesses' are necessary. From what I've seen so far, our minds (or at least I can say for sure my mind), left to their own devices, tend to go towards disorder rather than order. And I think that happens with most of us if left in our natural state of freedom. So freedom must come with responsibility and discipline, right? Even if we don't like it. You are absolutely spot on! It is essential to keep in mind the entropy principle: no dynamic system (specifically one populated by humans like Steem) can avoid evolving toward chaos. If the system is to survive there need to be continuous adjustments and mechanisms to "correct the trajectory"
I upvoted your contribution because to my mind your post is at least 23 SBD worth and should receive 98 votes. It's now up to the lovely Steemit community to make this come true. Thanks Truffle Pig. I had called you on a previous post (out of curiosity) but you never came. And what a nice surprise, you came on this one of your own accord. Oh? Do you have the link to the post? This should not happen (or just very, very rarely). Possible explanation is the weird behaving api.steemit.com node that is sometimes missing account history and, consequently, trufflepig may miss some posts (I use other nodes as well, but without api.steemit.com scraping posts just gets way too slow). Personally, I don't care much for Trending or Hot, and I think this is the wrong focus when looking at Bid-bots. What should be looked at is how curation has completely died, as many use delegation to bid-bots as a source of income. This to me is the 'short game', and longer term the Steem 'experiment' will not survive. Trending is a good place to start removing rewards, but the platform will only become healthy again if people choose to not delegate to bid-bots, and start curating again. Whales and witnesses are mostly silent on this issue, because many are involved in delegation and ownership. I have to say that after checking out the article and the comments below, I have a lot of links to develop into “cultural” study for myself. Look man, I personally believe Steemit should be left as it is. Nothing more, nothing less, with the exception of building applications for greater user friendly experience. That’s it! And I’m saying this as a pissed of user on the bot-using scheme. Still, I see Steemit as an ecosystem that is there for human socialisation to evolve and the “founding fathers” offered principle tools for this to happen. So what I’m trying to say is that we should leave Steemit as it is and focus on the societies we develop inside it. In time, there will be natural separation, natural abbandon, natural curation. Of course, abuse will exist but as you reason also in the article, democracy has flaws but it’s the best solution so far. Curation of the content is not a job for the creators of the infrastructure to do. It’s like accusing the Universe that it rains. We, as the users of the infrastructure, have to care for it. So societies like Curie, adsactly, ocd are to be observed and their “solution” should be promoted as “mechanism” of control and people should be encouraged to get organised in the way they did in order to curate “together”. In this sense, Steemit can be the infrastructure that will host next “content creation commercial societies”. Imagine having reporters, editors, professionals organise in societies on Steemit. Love the detailed analysis you made there. And I completely agree with you. IMHO, Steem is merely a social experiment on blockchain technology, more like a prototype which reached his purpose already. No wonder @dan moved on 😁. Now, talking about Trending page 🤣! Trending page is garbage on any platform, why people believe that it would be different on this one? Your post just gave the answer. In the end, this platform is all about niches. Trending or Hot page should not exist at all 😎! That is an interesting perspective - maybe the issue is with condenser, the interface: it shapes the user experience. By proposing a "Trending" section is brings people to look at something that is defined not by the quality of content but by the size of rewards. One idea is indeed to abolish the unique "Trending" page and modify the logic behind the "per tag" trending pages. Like we have "witnesses" that make sure at the technical level the blockchain grows well, we should have "quality witnesses" in charge of curation and paid for that, to make sure the content is of ever-improving quality. Thus instead of judging quality using rewards as a proxy (with the very apparent drawback that rewards can be manipulated), let's judge quality by institutionalising and internalizing the curation teams that have spontaneously formed: steemSTEM, curie, utopian, etc. It seems that the trending page is becoming a hot issue. I hope they fix is and make this platform much better. Thanks for giving the information, it's very informative, I resteemed your post. Sehr gut auf den Punkt gebracht! OK. So you're officially awesome. How have I not seen you on here sooner? I love smart people. I totally corroborate with your view on this matter. I also disagree with the "flag post remedy". I believe it is kind off absurd to do such a thing. It's true there are good quality post that ought to generate more income but the problem is that everyone experiences such. It's just like a business, we can't expect to gain always and we can't expect to be loosing always. We just have to take the risk. The founder of Bitcoin(Satoshi) said it all. I also want to make comment on your wordings construction, they are very good and okay. But you sound like someone in the medical feed because of some register or jargon u made use of while communicating.